The Sonderanhänger 204 (Sd. Ah. 204) - special trailer 204 - consisted of two sections. 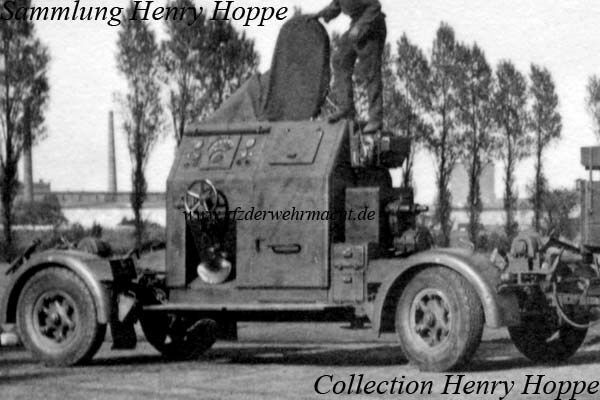 It was used for moving the 5 cm Flak 41, the Maschinensatz 125 V 60 kW, the 200 cm Flak-Scheinwerfer, the Sperrballon- winde, the FuMG 41 T Mannheim and the Marine-Drehstand. 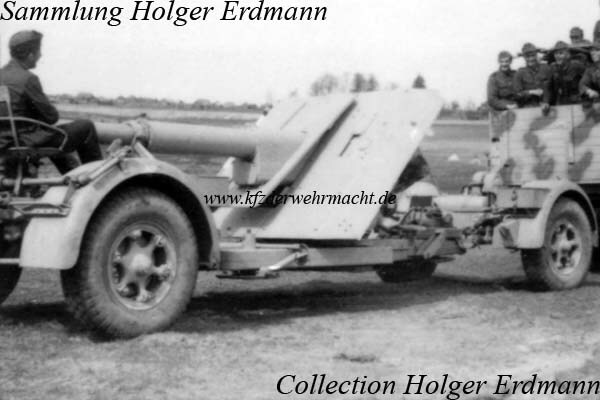 The first 400 units of the 8,8 cm Pak 43 were moved with the Sd. Ah. 204. This Sd. Ah. 204 was used for the transportation of an unidentified device. Most probably it is a radar (FuMG) device. Can somebody identify this device?